New energy efficient boiler installation from as little as £1350. A new boiler installation is not a decision that is taken lightly and usually comes at a time when it is least expected. At Heating Yorkshire we we ensure our boiler installation process is as efficient and stress-free as possible. Our pricing is simple, transparent and competitive. We ensure the best quality products are installed and our service is the best price around. We are cheaper than the large national heating specialists and we continually monitor our prices. We fit the leading names in new boilers for all of our installations. These modern, energy efficient boilers ensure you save as upto 35% off your energy bills. Boiler installations are assured by a Gas Safe qualified engineer. We ensure you have right boiler at the best price. Deciding which boiler will make an efficient and practical fit with your home and lifestyle can be confusing. 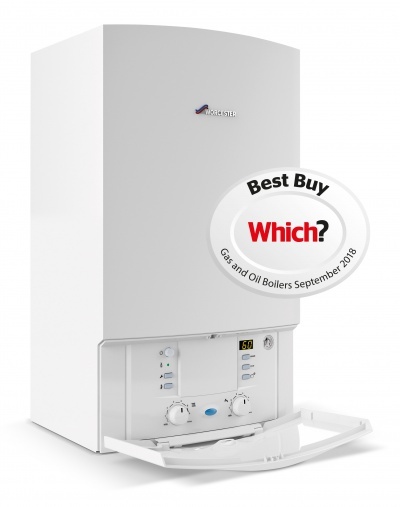 Which Boiler should you choose, Combi Boiler, System Boiler or Regular Boiler ? Is your new boiler is going to be fitted onto your existing system, then we should consider the cleanliness of your existing pipework and radiators. Cleaning your system, prior to any new boiler installation can help prevent damage to your new boiler and add to the longevity and performance of your new heating system.